In the Instructors Seminar, you will review the 8 ways of digging work, the do’s and don’ts in belief work, how to have an accurate muscle test, and Vianna’s helpful hints to having a successful belief work session. You will also learn how to teach this seminar to your students to help them become proficient at belief work. 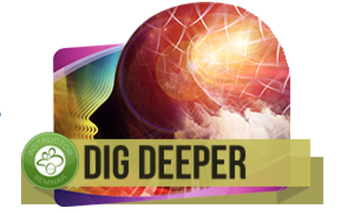 This seminar is beneficial for anyone that utilizes the Digging and Belief Work Technique in ThetaHealing, whether or not you decide to teach this seminar to others. This is an amazing seminar that will help you perfect the techniques that is at the heart of ThetaHealing. and getting to the bottom belief to be released. And of course you have plenty of time to practice Belief Work under the supervision of Vianna or her senior instructors. See the upcoming ThetaHealing classes some teachers in Spain have prepared for you to be able to come to the Instructor's Certification Classes. Classes will be held from 9:00 to 17:00. We offer a coffee and tea break at 11:00 and at 13:30 you have a free hour for lunch*. *Every class' participant is responsible for their own accommodation and food.